What is virtual staging software and should you use it to help improve your real estate listing to sell your home? The real estate market is a very competitive sector with many home sellers striving to have their home stand out in a crowded environment. Those looking for properties to buy now have an abundance of options available to them. To successfully sell your property, you need to attract attention and stand out. One way to do that is to have attractive photos that will show your property in the best possible light. While you may be selling an empty space, you don’t want to SHOW potential buyers an empty space. Showing a room devoid of furniture or decor makes the space seem cold and attractive in photos. In order to have great photo’s of your property, you are going to need to stage the space. When you stage the space, you add furnishings and decor. While the furniture and decor will not be sold with the space, seeing them in the space will help a potential buyer see the possibilities inherent to the area and make them more inclined to buy the space and make it their own. While you can physically stage a space – bring in furniture and accent pieces – before taking photos of it, this can be time consuming and costly. You going to have to find the furniture, rent or buy it, they physically move it and space it around the area. 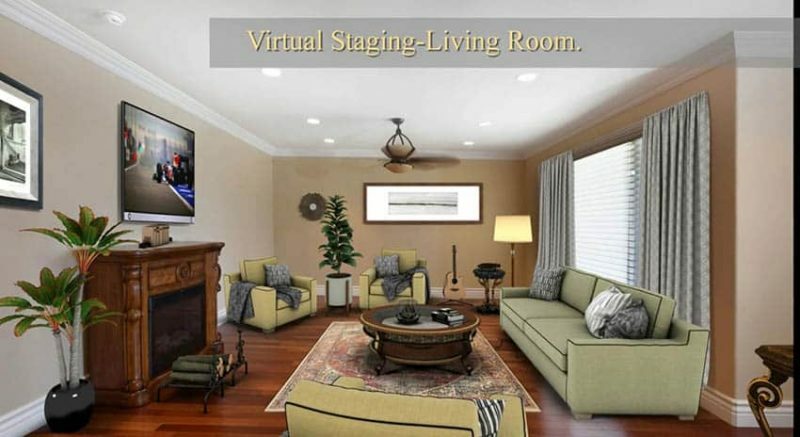 One way to avoid the costs in labor, time and money that physical staging requires is to just use virtual staging software. Staging your property helps make it more attractive because, let’s face it, a bare and empty space just does not seem welcoming or desirable. A staged property helps people see the potential of a space and get them thinking that, yes, this is a space I want to occupy, a home I want to live in or a place I want to work out of. Virtual staging is basically the process of adding furniture and other decor to the photos of a real estate space to make it look more attractive to potential buyers. A virtually staged property tends to be sold twice as fast than empty spaces. They help buyers envision the potential of the space. 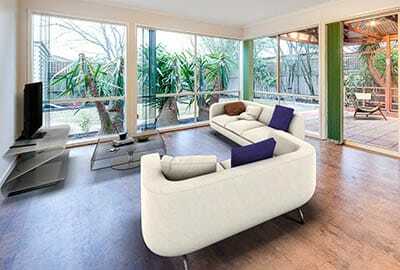 Virtual staging services are much cheaper than home staging. Not only is there no need for the labor inherent to physical staging, but there is also no need to pay extra money to a professional photographer to get a great photos of the space. There are some virtual staging pros and cons which we cover in more detail here. One way that you can get your property virtual staged is to work with a company that uses virtual staging software. In most cases, you submit a photograph or two of the space that you want staged and then pay a fee to have them stage it for you. Below are four examples of some great virtual staging companies you might want to consider using to help make your property more attractive to potential buyers. Cost: The price to use Virtual Staging Solutions services will vary according to the number of photo’s that you give them to stage. Every photo that you will submit will cost you $75. ● To use the online software of Virtual Staging Solutions, you will first need to take some good photos of the room to be staged. After uploading a photo, the experts of Virtual Staging Solutions can virtually stage the room within 24-48 hours. 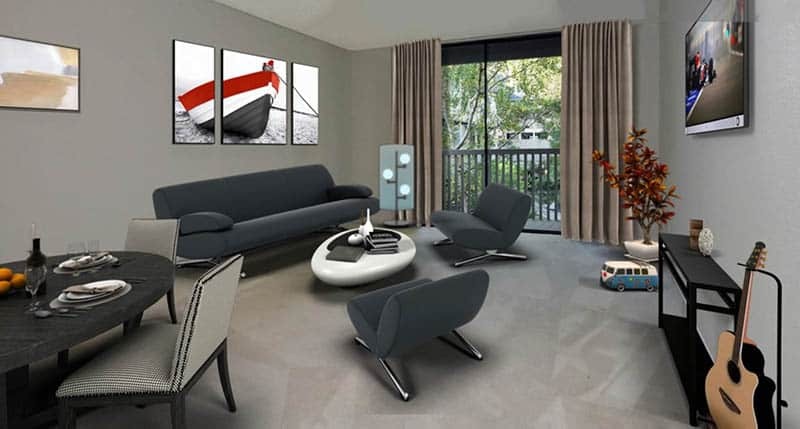 ● Virtual Staging Solutions offers a variety of furniture options you can look at and that can be virtually placed into the room photos that you upload. You can pick and choose the furniture you want from the available options or else just leave it up to the sites design team. ● You can submit a photo with furniture already in it and just have them removed and replaced for an additional $85 per photo. 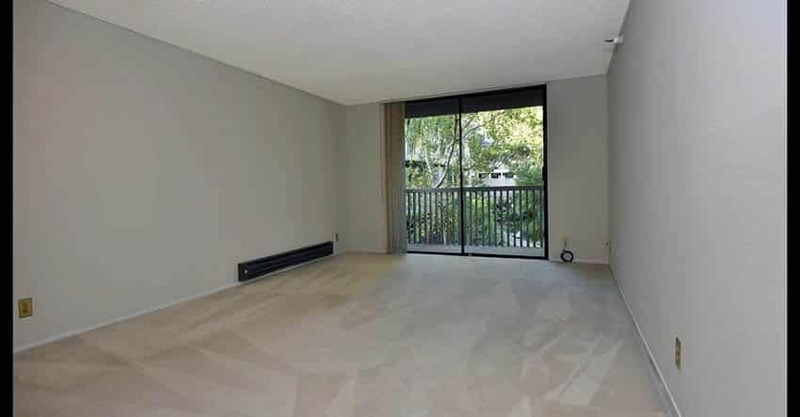 ● You will receive photos of the virtually staged room in JPEG format and a smaller size that can be used for MLS. ● If you want, you can also choose to have interior or exterior floor plan visualizations created from your photos. If you choose this option, it will be an additional $249 per photo. ● This company was founded back in 2005, by New York-based celebrity stager Ilaria Barion. This company specializes in providing staging expertise and virtual staging tools for luxury real estate. ● They can provide virtual staging services for empty homes, commercial virtual staging, virtual landscaping, and virtual furniture replacement. ● They also offer an architectural rendering service. ● They implement the design digitally over a physical staging for cost effective, life-like staging. Cost: The cost of having your space virtually staged by Obeo depends on the number of photographs that you send them. They charge $75 per photograph of the room to be staged. ● This company is one of the pioneers in the virtual tour industry for real estate properties. ● Other services provided by Obeo include professional photography and custom website domain names for home listings. ● If you would like to have a room virtually staged by Obeo, you can either send them photos of the room that you took yourself, or you can have one of their professional photographers meet you and take high quality photos of the space for you. ● They offer a plethoria of furniture and decorative items that can be used to virtually stage a room. The items are displayed in design collections to better help you choose pieces that will not just complement the room but work together to create a coherent design theme. ● Has a Live Chat feature so you can get help anytime you need it. Cost: If you choose to use PlanOmatic Virtual Staging software, they will furnish and decorate a photograph of your space for $99 per photograph. 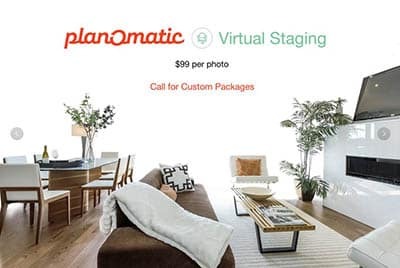 ● In order to have virtual staging done by PlanOmatic, you either have to submit photos of the space for them or hire one of their professional photographers to take high quality photos of the space for you. ● They also have an extensive catalog of furniture that you can select and have digitally placed in the photo of the room you want staged. 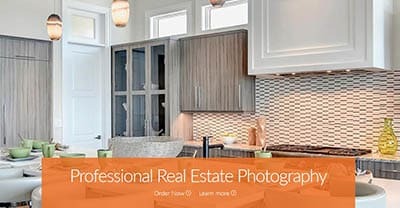 ● They also offer professional real estate photography services and create interactive floor plans. Another way you can get a space virtually staged is, of course, to do it yourself. All you will need to do is take some good photographs of your space and then upload it into a do it yourself virtual staging program. Cost: You can try out VisualStager for free, by using sample photographs of rooms that are provided on the site. This lets you get a feel for the software. When you want to stage your own room, you can upload your own photos but your going to need to pay by using prepaid credits. ● This is one of the most popular virtual furniture staging softwares out there because of its ease of use. ● This software is browser-based and can be used on PC’s, Macs,tablets, and iPads. ● Simple to use. You just upload a photo and scale it. You can then remove unwanted details and add the furniture you want. ● VisualStager has a library of up to 2500 different furniture and decorating items that you can place and use to virtual stage your room. ● They also provide a furniture removal service where they will remove existing furniture from your photo to make it easier to stage. Cost: It will cost you $15 per photo to stage the room yourself using the software of Real Tour Vision. If, however, you decide that you want them to stage the room for you, you can pay $25 per photo to avail of their full service virtual staging. ● This software was developed and is offered by Real Tour Vision (RTV). RTV is a virtual tour and professional photography services company that has been operating since 1999. ● RTV prides itself in quickly turn empty spaces into beautifully furnished rooms. ● They provide a huge virtual library of furniture and decor that can be virtually added to your space. ● Among the items available to be virtually placed in room photos are antique and modern furniture, including rugs, couches, tables, lams, drapes, pictures, and even appliances like TV’s. 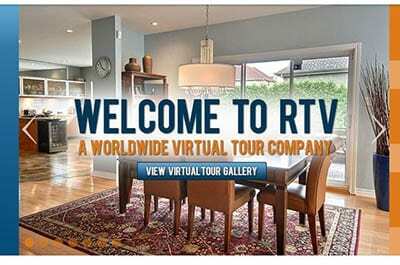 ● To use the virtual home staging software from RTV, you will first need to sign in and create a free account. ● After you have created your account, you can then start virtually staging your chosen room by uploading a photo. Then you can add furniture and decor to virtually stage the space as you like it. ● This software can be used with both Chrome and Safari browsers. ● You can also opt for full service virtual staging, in which the experts of RTV will stage the room using the photos that you uploaded. ● You can pay an additional $12 for sky replacement which will allow you to change the look of the sky in exterior shots of the property. ● Promises to create beautiful staged photographs in under 10 minutes. ● Allows you to create multiple furnished versions of the same space in order to best show off the possibilities to prospective buyers.